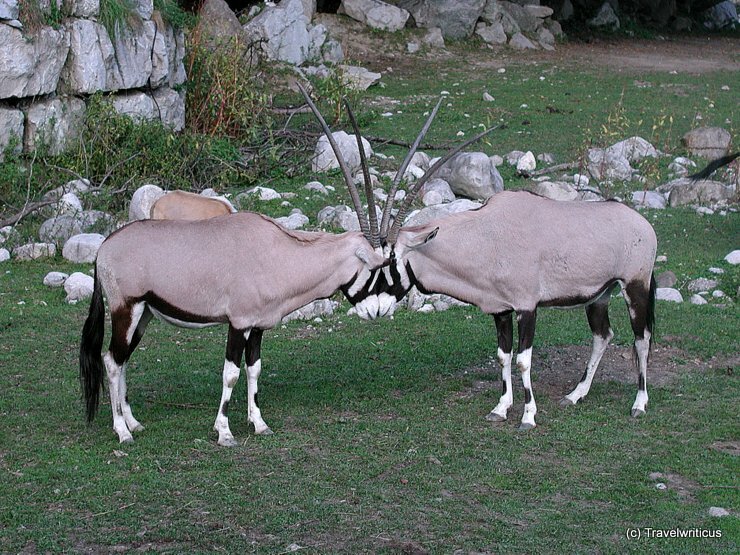 While walking through the zoo of Salzburg I came across this pair of struggling oryxes. I just love the symmetry of their horns in this special situation. The zoo is placed next to a big rock so one can see some animals in a rugged setting.